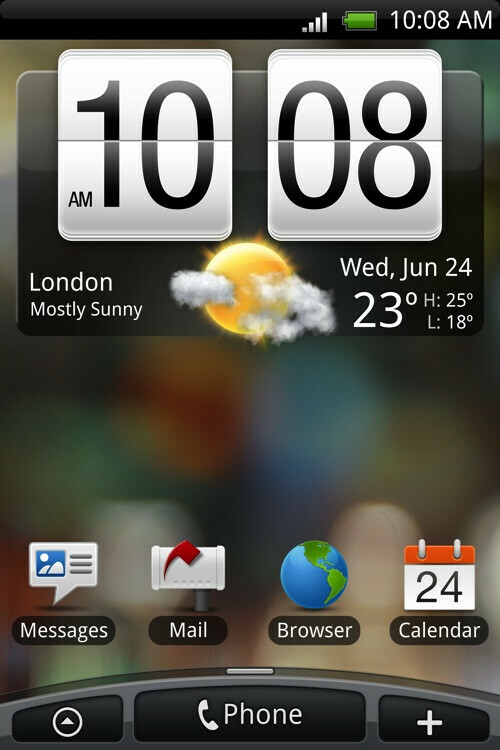 As expected, during an event in London today HTC have announced the HTC Hero and a new personalized interface for their Android devices. Specs wise, the Hero of the day will be powered by a Qualcomm 528MHz processor and 288 MB RAM/512 MB ROM. The screen is 3.2-inches, touch-sensitive with resolution of 320x480 pixels. The HTC Hero also has 3.5mm jack, trackball, Bluetooth 2.0, GPS and connects via Wi-Fi. It is a quad-band GSM and dual-band 3G handset. What makes it even cooler is it comes with built-in Flash support that will allow users to play embedded videos without a hitch! You can check the demo video of the HTC Hero's Flash support here. The most interesting aspect of the new phone is that it introduces a new widget-based interface for Android that really changes the appearance of the operating system. It is dubbed Sense and packs a number of features that will surely come in handy to users. A new profile feature, named Scenes, will let you quickly switch between different functionality modes, for example business or weekend. Playing around with your contacts will not only bring up the usual information, but also status updates and shared images on various social networks like Facebook and Twitter. Users will be also able to run a quick search through the phone and services such as Twitter by using a dedicated search key. Similarly to the magnificent Palm Pre, the Hero seems to integrate local data with your social online accounts. In addition, Sense also includes a new way of visualizing important personal content; for example e-mail, photos and music, called “Perspectives”. Other features the new UI will introduce to Android are gesture controls, such as turning the phone downwards in order to silence a ringing alarm. 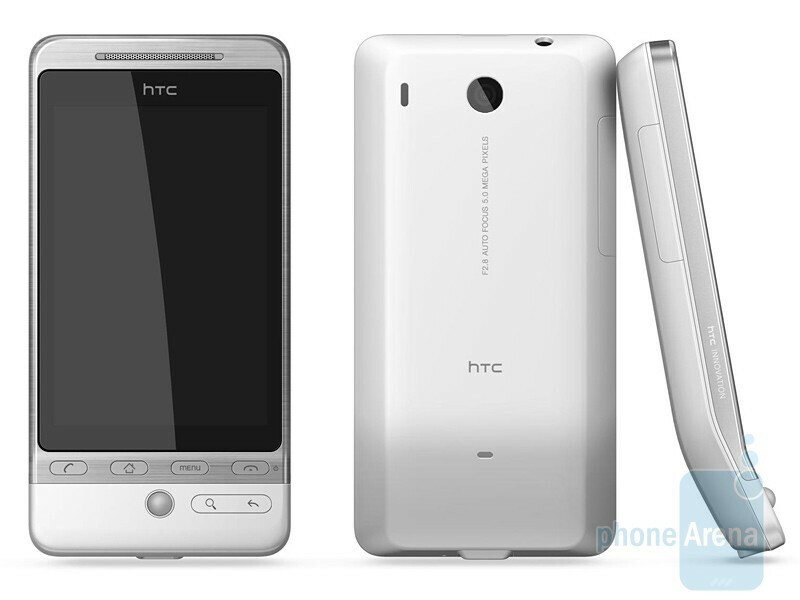 The HTC Hero rolls out in Europe in July with an Asian release following shortly and will become available to North American users later this year. Oh, one more thing! People going for a white version will get the industry-first Teflon coating. We hope the phone doesn’t get too hot! *Update: HTC's YouTube channel now shows a demo video of the Hero and the new Sense interface. Check it out below! Yes the OS and UI look absolutely amazing!!! Cannot wait to have this or similar device made available to Verizon Wireless. Is multi-touch officially implemented on Android devices now? Near the three minute mark they showed a multi-touch zoom function in the browser. Overall a great UI! I can't wait! I need this phone ASAP, for Verizon !!!!!!!!!!!!!!!!!!!!! Hey sorry it didnt put the rest of my comment anyways....... look under ANDROID *(tag cloud)* or under june 25 (archives) it says that Orange is getting the hero but T-mobile UK also is..........and will call it the G1 Touch "HTC Hero will land on T-Mobile UK.. T-MO USA next? " when phonearena's doing hands-on, pls. confirm 1. if the "palm pre-like cards" are actually live, we see in the first-look video lots of apps are open twitter, web, and displayed on the home-screen almost like the palm pre. 2. can it send+receive contacts (vCards) now ? 3. phone-as-modem capability ? or different regions will have different versions perhaps not in europe but yes for asian markets. i like what they did also with contacts that it is now able to "group" contacts like anyother phones... this is one of those "little" things that is useful... damn, can't wait for this phone but a bit down 'coz its lack of camera flash.... samsung galaxy anyone ? lets do a vote ? ITS GONNA BE FOR *SPRINT* WHEN IT COMES OUT LATER THIS YEAR NOT ONLY THAT ITS GONNA BE 4G!! !